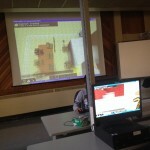 This lesson was facilitated with Grade Five Gifted Students. 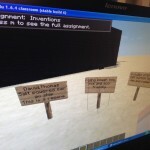 This is an example of how to combine a variety of collaborative tools (Collaborative thinking/planning, Blog, Web2.0 Doc, Minecraft) with a hands-on approach to building and designing prototypes that focus on world problems. 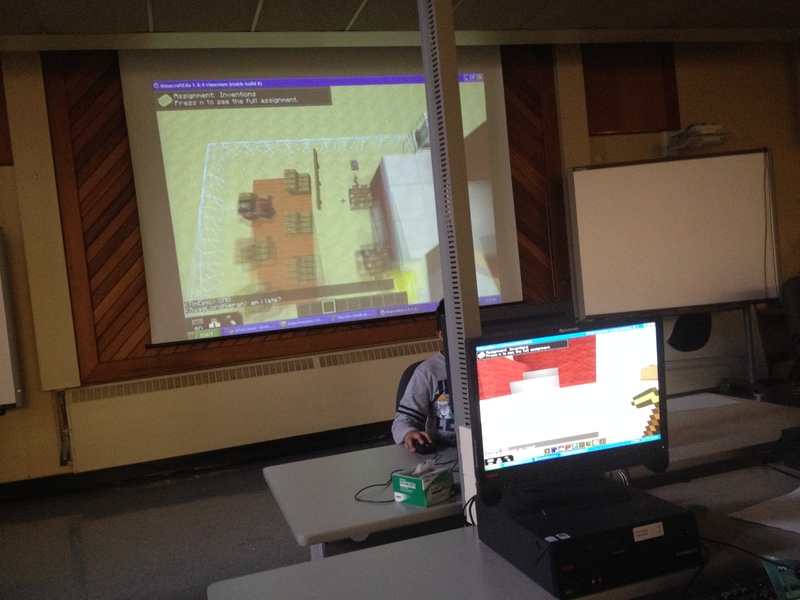 Minecraftedu, large amount of assorted lego, a class full of engaged students and a teacher/facilitator provided the necessary resources. It was incredible to witness the dialogue, creativity and critical thinking as the students explored and designed their ideas into something concrete. 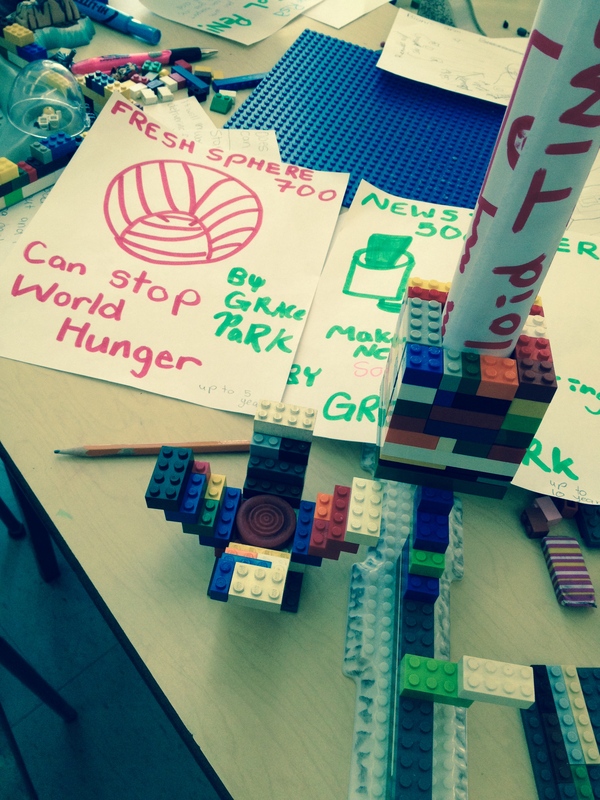 Big Idea: How do past and present inventions impact our world of today? This is a sample lesson that can be used at a variety of ages and grades. 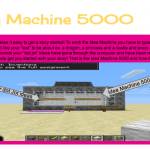 Because this lesson is based on the concepts around Design Thinking, it is easily adapted to a variety of curriculum and standards (Writing, Oral, Research, Presentation, Media, Social Studies, Digital Citizenship).Students will engage in a workshop involving a problem solving and design process. 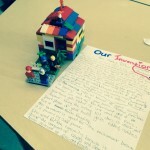 They will connect their knowledge of inventions as well as the literature/history they are studying (in this case, DaVinci) and will plan, design and co-create inventions that focus around a real-world problems. 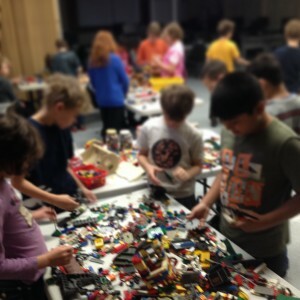 Students will use a variety of collaborative (face-to-face and online) tools and will be challenged to think creatively. Is this a new invention? What was the inspiration? How will this invention impact the world? Why is it needed? What are the important details that need consideration? 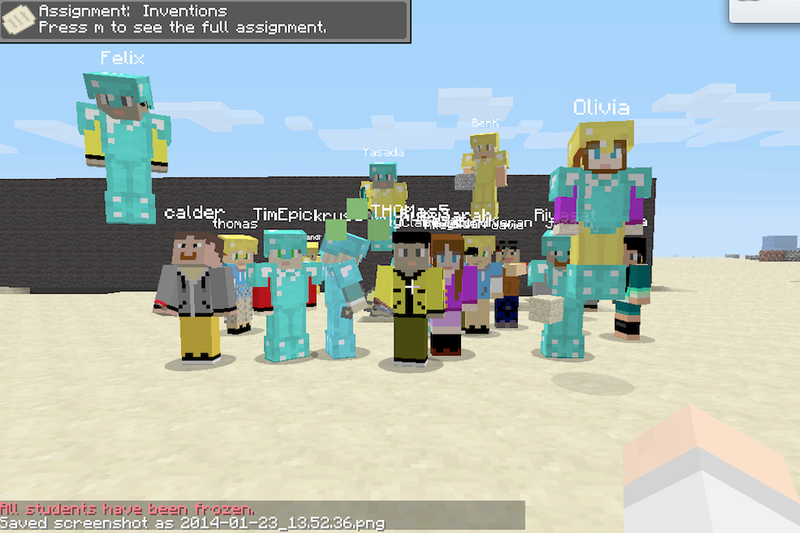 In Circle, have students share and discuss a favourite invention and why. Ask them to think of the problem that the invention solved. 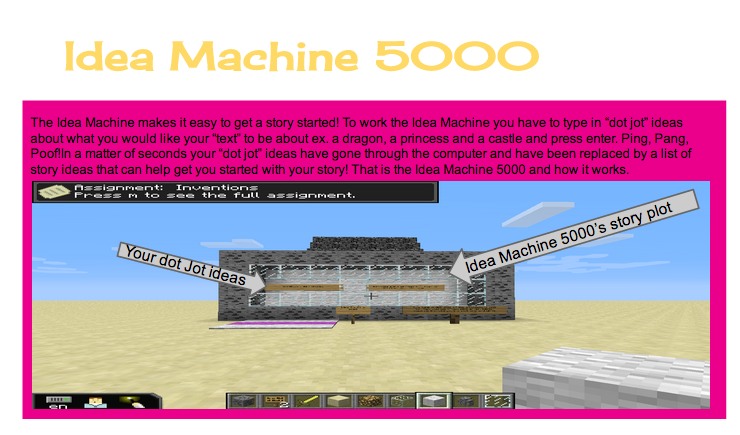 Encourage strong open ended questions and descriptive vocabulary. Introduce the “Big Idea” …and discuss. Connect the topic “Inventions” to the overall theme of “DaVinci” (relevant in our situation). How did DaVinci get inspired? What triggered his ideas? Were they realistic? Which inventions were meant to solve a problem and why? How does this invention impact the world? How does this invention impact a single human being? What problem can be solved by this invention and why? 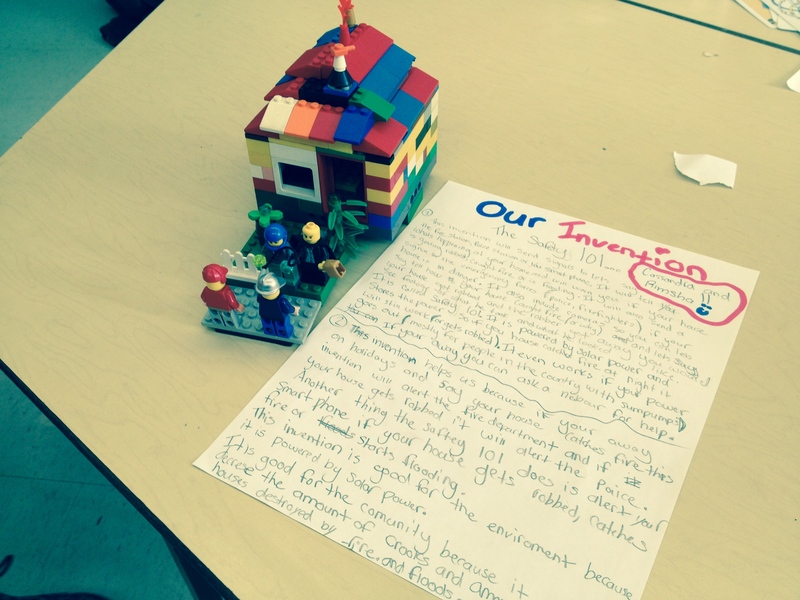 Students will collaboratively design and build their own invention using inspiration from real-world problems. 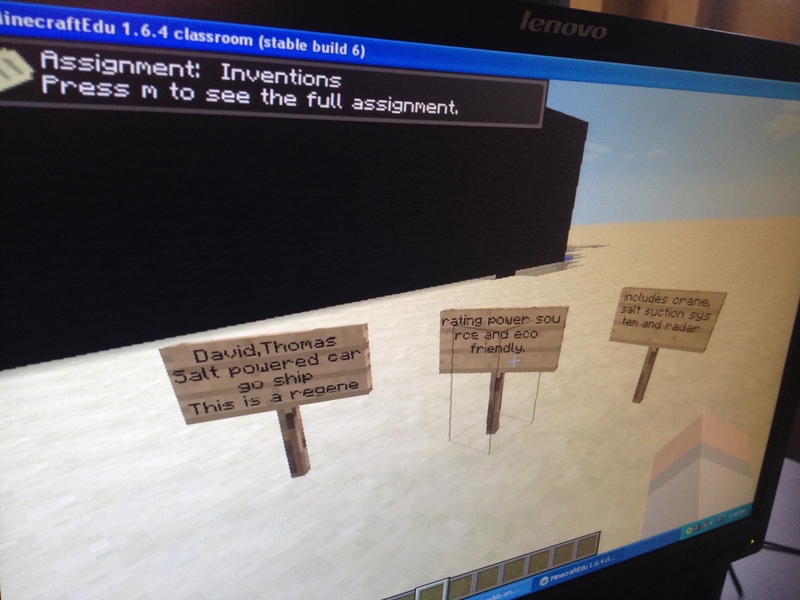 This entry was posted in Design Thinking, Gifted Classroom, lessons, minecraft, Uncategorized and tagged collaboration, design thinking, Gifted Centre, inventions, lessons, minecraft, problem solving. Bookmark the permalink.